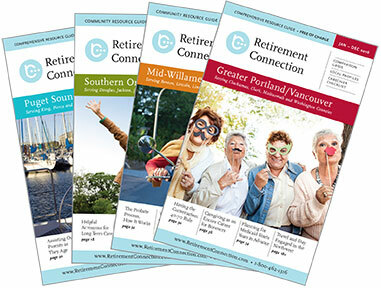 The Retirement Connection guide is hot off the press and we are delivering the new Puget Sound edition to all hospitals, libraries, senior centers, area agencies on aging and many other locations around the Sound. Let us know if you would like additional copies; it is a great resource to share and be the trusted advisor for those you serve. We hope to see you at the big Release Party on September 28th on Mercer Island and we expect more than 150+ to attend. Please RSVP to assist us with food and beverage counts. This edition marks the completion of our first year in the Greater Seattle-Tacoma area and we are so excited to have grown so much!!! Please join us at the Tenth Annual Washington Home Care Association’s statewide conference, Blooming with the Boomers!